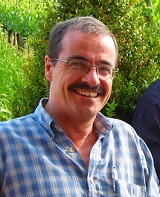 Speech title "Food Industry: Natural Landscape on Hydrocolloid use"
Paulo Fernandes has a PhD Thesis on Food Engineering by the Portuguese Catholic University and INRA Nantes France (1987-1992), and a Post Doc at the Nestlé Research Center Lausanne (1992-1994). Since 1995, Paulo is based at the Nestlé R&D Center Amiens (F) as ingredient expert. Today, Paulo is the Corporate Ingredient Advisor – Hydrocolloids, and the leader of the Hydrocolloid & Starch Community for the several food business of Nestlé. 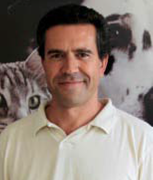 Paulo is author of several scientific publications and patents using hydrocolloids on food applications. Speech title "Importing into China - What's In and What's Out"
Ms. Li is a senior food lawyer working at Keller and Heckman’s Shanghai Office. 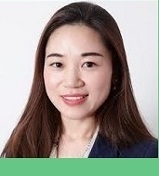 She counsels and represents business and trade association clients in compliance issues in jurisdictions across the Asia-Pacific region, including foods, dietary supplements, labeling, nutrition and health claims, advertising, food additive and ingredient submissions, defense of government investigations and inquires, import and export certifications. She received her degrees of Master of Laws from University of California, Berkeley Law, and Shanghai Jiao Tong University, KoGuan School of Law. Speech title "Global Market Overview"
Dennis Seisun has worked in England, France, Belgium, and, for the last 25 years, has been based in San Diego, California. He graduated from Bath University in England with a bachelor of science degree in engineering and a master of science degree in industrial marketing. He worked as an engineer for Foster Wheeler, as a consultant for C.H. Kline S.A. in Brussels, and for Kelco (then a division of Merck) as commercial development product manager. He was closely involved in the market development of many new biopolymers to follow xanthan in the marketplace. 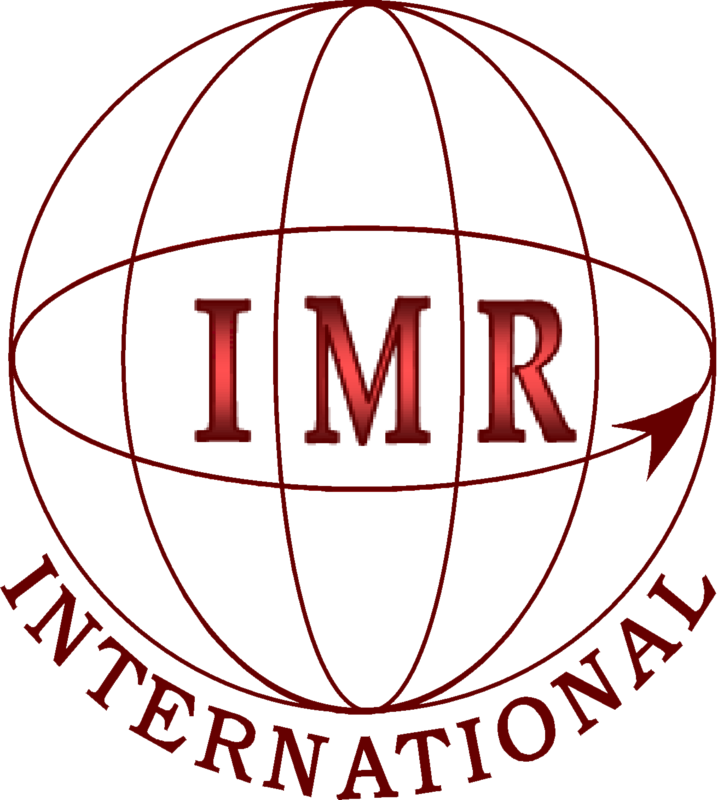 In 1985, Dennis founded IMR International and has since focused his attentions on the food hydrocolloid markets of the U.S. and Western Europe. The Quarterly Review of Food Hydrocolloids was started by IMR International in 1991 and has become established as a comprehensive and independent source of information on the food hydrocolloid market. IMR has chaired the International Conference on Food Hydrocolloids for the past sixteen years alternating between the USA and Europe. Speech title "Collaboration - Through Thick & Thin"
With background in International Business Management and supply Chain Management, Pia Brinkman Madsen has spent more than 20 years with leading players in food and food ingredient industry. She has assumed various leadership roles as well as trusted positions - with focus on competencies within Risk Management, Supply Chain and Procurement excellence and transformation. Today, she assumes role as Chief Procurement Officer at Palsgaard A/S and is based at the company's headquarters in Juelsminde, Denmark. 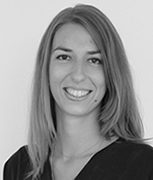 Speech title "The five year Evolution on Hydrocolloids in meat and dairy alternatives "
Irene Kersbergen is a market analyst at Innova Market Insights, an international market research company that tracks new food and beverage product launches. Irene holds a master's degree in Economics and Business and is specialized in consumer behavior and marketing. Within Innova she uses her commercial knowledge and analytical skills to provide Innova's customers the insights they need to succeed. Speech title "Gelatine - Was In, Is in & Will stay In "
Holds a university degree in Micro- and Macroeconomics, specialized in Marketing and Psychology. Michael started his professional carrier in a strategic marketing consultancy firm working for international clients in the FMCC food and pharmaceutical business. In 1992 he joined GELITA AG and helped to establish strategic marketing by implementing classic Marketing concepts in a B2B environment. In 1999 he took his current role as Global Vice President Marketing & Communication. 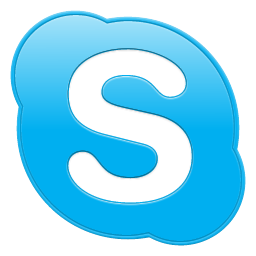 Within this function he is also responsible for the global brand management, the global Market and Competitive Intelligence and global PR. In this period GELITA won several international Marketing and Brand awards. Michael is also the GELITA representative in several associations and is chairman of the Communication committees of the European Gelatine Association (GME) and the European Specialty Food Ingredient Association (ESFI). Speech title "Solving Customer Challenges in a Journey to bring what is In to replace what is Out"
Currently Sr. Director of R&D at TIC Gums. His responsibilities include providing solutions to customer problems, leading the innovation process as well as developing new ingredients and technologies. Previously he led the Global Applications Team at Ingredion Incorporated overseeing various applications teams that were focused on developing new and differentiated technologies and products. 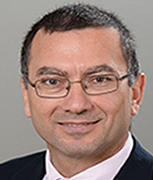 Prior to joining Ingredion, he worked as rheologist at Hercules Inc and as a post doctoral associate at PMI/Chemical Engineering at Princeton University. Erhan has a PhD in Food Science from Rutgers University. 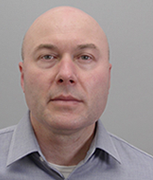 Dr. Krassimir P. Velikov is a Science Leader at Unilever R&D Vlaardingen. He received his PhD in Soft Condensed Matter Physics from the University of Utrecht in association with FOM Institute AMOLF, Netherlands. 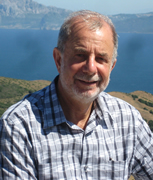 His research interests cover broad topics of soft-condensed matter, molecular and colloidal assembly, fibrillar networks, gels, biopolymers, colloid and interface science of dispersions (e.g. suspensions, emulsions, foams) and their uses to control product functionality (e.g. stability, appearance, texture, taste), physical-chemistry of digestion, and formulation and delivery of functional ingredients. He is an Adjunct Assistant Professor in the Soft Condensed Matter group at the Debye Institute for NanoMaterials Science, University of Utrecht, Adjunct Associate Professor in the Department of Chemical and Biomolecular Engineering in the College of Engineering, North Carolina State University, and a Program Director of "Molecular Structure of Food" program in NanoNextNL. Speech Title "Texture – How Consumers Want It"
Ross Campbell has a joint honours degree in Chemistry and Management Science from Stirling University. Ross has worked for a number of different companies in various roles, including Dow Corning, 3M, Courtaulds all involving polymers for many industrial applications. He then joined Unilever’s Quest food ingredient division to head up their food gums business unit which is now part of Kerry. Ross left Quest in 2001 and started up CyberColloids which has become a well recognized ‘business led contract research’ company specializing in polysaccharide chemistry for food texture and nutrition. Ross is married to long suffering Joy, has 4 grown up kids and the 3 best granchildren ever!!!! Speech Title "Clean Label Texture:Opportunities & Pitfalls"
Albert is currently the Global Food Division Manager at Indukern Group. Before that, he was the VP; of Ingredients division at Blendhub. Early in his career he was the General Director at Merquisa for 8 years and 14 years at Degusa Texturant Systems as Food Ingredients Unit Manager. 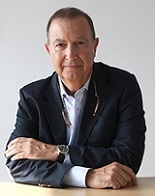 Albert graduated from Universitat de Barcelona, followed by an MBA from ESADE Business School and a GPMD at IESE Business School at University of Navarra. Speech title "Fibers are In"
Ralf has worked with hydrocolloids and stabilizing systems his whole professional career. He has more than 20 years in R&D and application development. He has worked with producers of hydrocolloids and also with users of hydrocolloids which gives him a broad perspective and understanding. Ralf graduated as a Food Engineer from the University of Hohenheim. In 1998 He joined Herbafood, a Herbstreith & Fox subsidiary; working as an application engineer in dietary fibers, pectin and stabilizing blends. Later he joined Condio and became head of R&D, working with functional blends using all types of thickeners, gelling agents, emulsifiers and proteins. In 2004 he was Project Leader in R&D for Nestlé for the Thomy and Maggie brand. 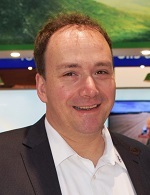 In 2006 he joined J. Rettenmaier und Soehne GmbH & Co. KG as Head of application development and product management working with Rettenmaier’s range of hydrocolloids (colloidal and powder MCC, alginates, cellulose fibers and third party ingredients). Speech title "Trust & Transparency in Food"
Ambassador Darci Vetter, former Deputy US Trade Representative (USTR) for Agriculture and Under Secretary at US Department of Agriculture (USDA), leads Edelman’s Washington, DC Public Affairs practice. 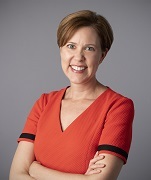 Darci brings deep international, trade, agriculture and food experience following a 17-year career in the federal government, and is spearheading the growth of Edelman’s global Agriculture, Food and Trade business. Darci helped develop strategies in trade policies, specifically, the US trade. Areas of expertise include helping translate US, foreign government or WTO processes to business; supporting the development of formal commentary on regulatory matters; and adapting corporate messaging and branding to adhere to broad policy changes. From 2014-2017, Darci served as President Obama’s Chief Agricultural Negotiator, an Ambassador rank. Darci was responsible for multilateral trade negotiations on agriculture, including the Trans Pacific Partnership agricultural package, and bilateral deals reached with Japan, China, Brazil and other countries. Before that, Darci served as an International Trade Advisor on the Senate Finance Committee, Darci is a member of the board of directors of the Neogen Corporation and the Farm Foundation, and a Member of the CME Group Agricultural Markets Advisory Council. She received her Master of Public Affairs degree from the Woodrow Wilson School at Princeton University and her undergraduate degree from Drake University. She grew up in Nebraska on her family’s organic farm and lives in Washington, DC with her husband and two children. Speech title "Hydrocolloids in Meat Alternatives - What's In"
Anita Hirte is a technical sales manager at Shin-Etsu, one of the leading producers of cellulose ethers. In this position she is the worldwide expert for the use of Methylcellulose in different food applications such as gluten-free and meat alternatives. In her position Anita Hirte not only presents the various benefits of hydrocolloids for food but also provides solutions for customer’s problems. Before receiving her PhD from the University of Wageningen, the Netherlands, in association with the research organizations TNO and TIFN, she finished her studies in Food Technology at the Technical University of Berlin. In 2012 she started her current position at Shin-Etsu in Wiesbaden, Germany. 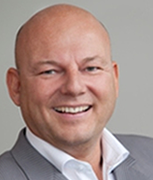 Speech Title "Glocalization for Hydrocolloids – Reaching more Users in more Places"
Ralf Neuendorf has over 30 years of experience in the food industry, most of them in the area of B2B ingredients. Ralf is a Food Technology Engineer by education and graduated from FH Lippe in Germany. Throughout his career, Ralf occupied Technical, Marketing and Commercial positions in Germany, Spain and the USA. During this time, he got extremely passionate about the impact of the food industry on the global society as well as environmental issues. In 2011, Ralf joined Blendhub on its disruptive journey to change the food industry for the better. Prior to that he worked 18 years for Fonterra. Speech Title "Food Trends: New Challenges and Opportunities"
Dr. Aleksandar Sokolović, Senior Business Development Manager at the European Food Information Council (EUFIC), holds a degree in Biology from the University of Belgrade, and a PhD in Medicine from the University of Amsterdam. 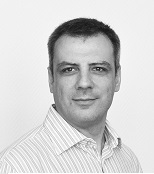 Aleksandar has worked for 20+ years in versatile settings - from selling medical equipment to performing academic research and in between - in four different European countries, and in public, private, and non-profit sector. He now oversees EUFIC’s Business Development activities, where he uses his familiarity with the worlds of science and business and employs his vibrant multicultural experience to help EUFIC grow as an organisation.